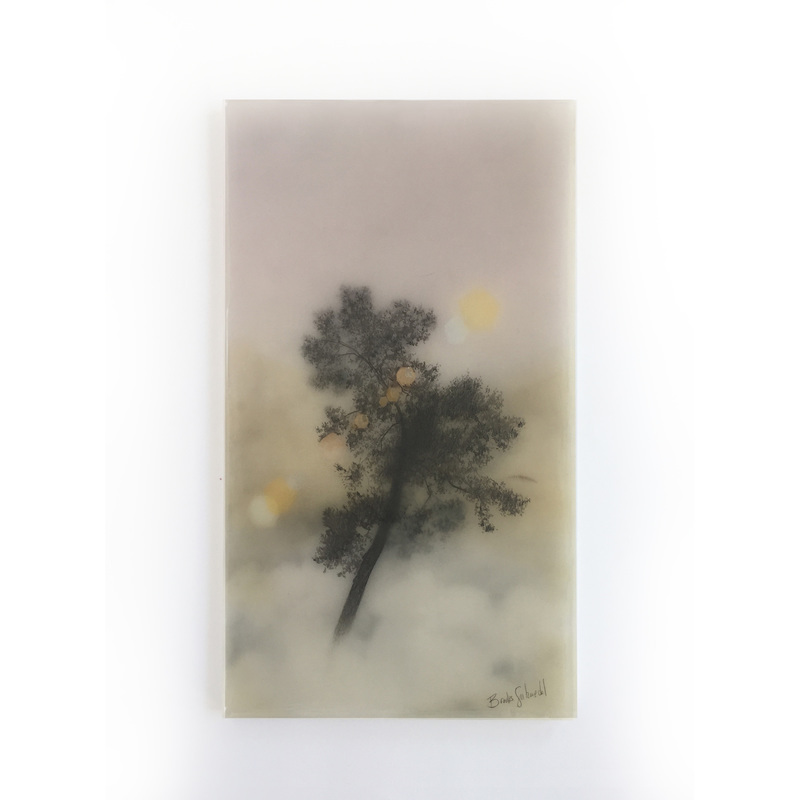 Artist Brooks Salzwedel brings together a unique combination of materials to form his ethereal and airy landscape drawings. 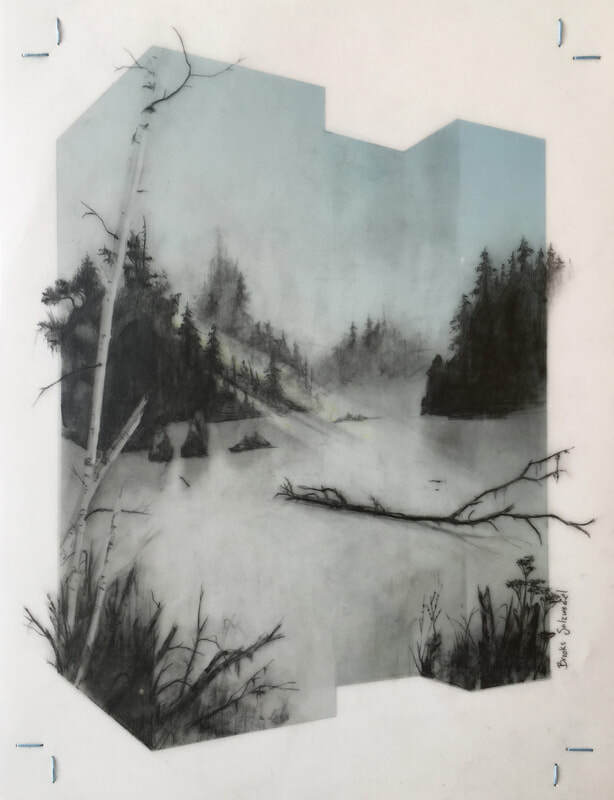 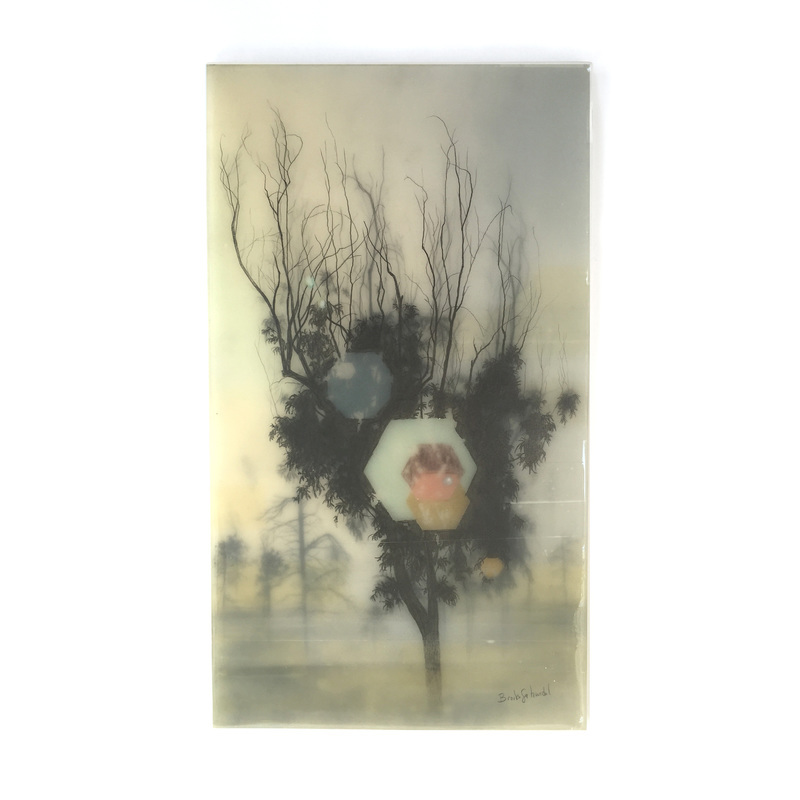 Through the use of graphite, resin, mylar, pencil and ink, Salzwedel creates layers of scenes that sometimes display quiet and delicate clusters of lone forests, while other times his compositions include man-man elements that seep into the natural world, threatening to take over. 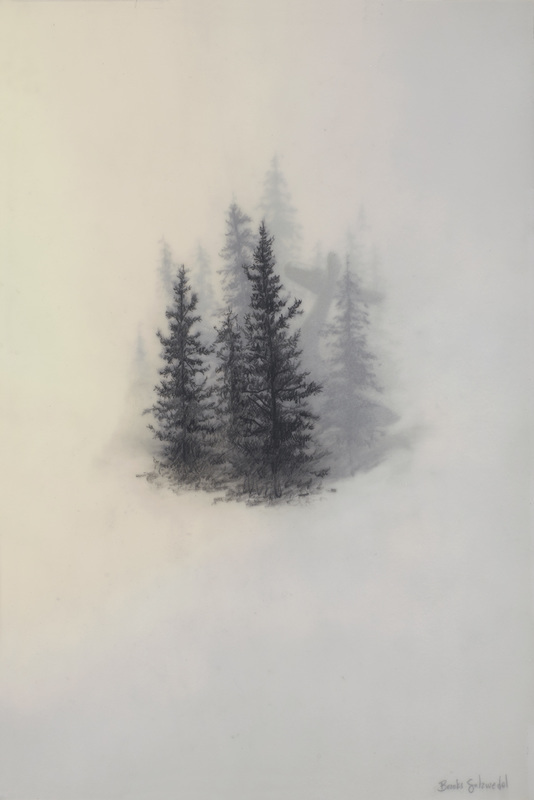 His use of minimal color is so soft and subtle—it appears is if they had just been blown in with the wind that surrounds the artist's cold mountains. 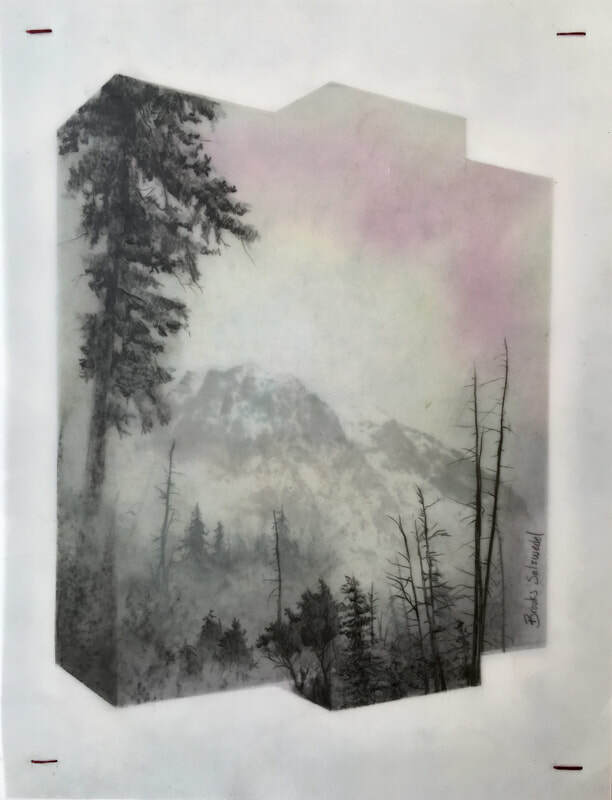 Salzwedel's most recent work adds an element of incredible depth and perspective, as pieces like Mount Washington Contained portrays a mountainous scene as 3-dimension, as if the drawing is extending towards the viewer. 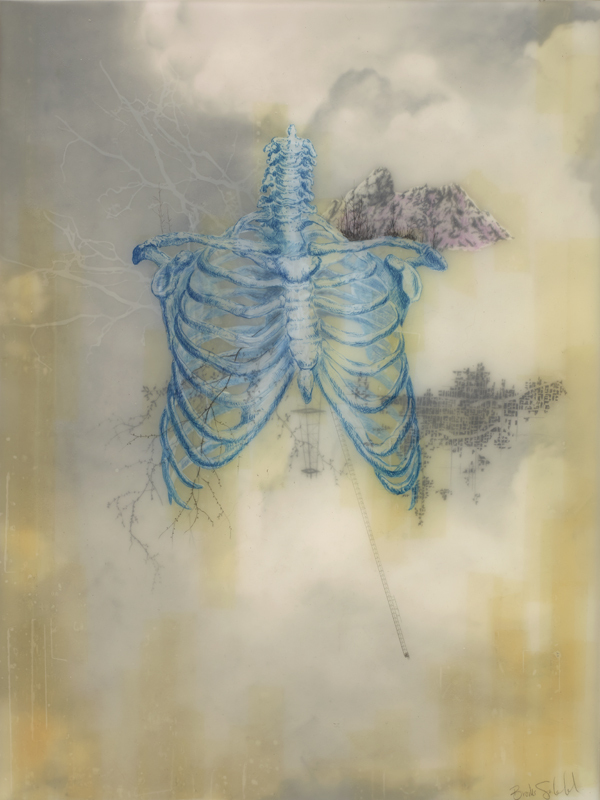 Based out of Los Angeles, Salzwedel earned a BFA from the Art Center College of Design in Pasedena. 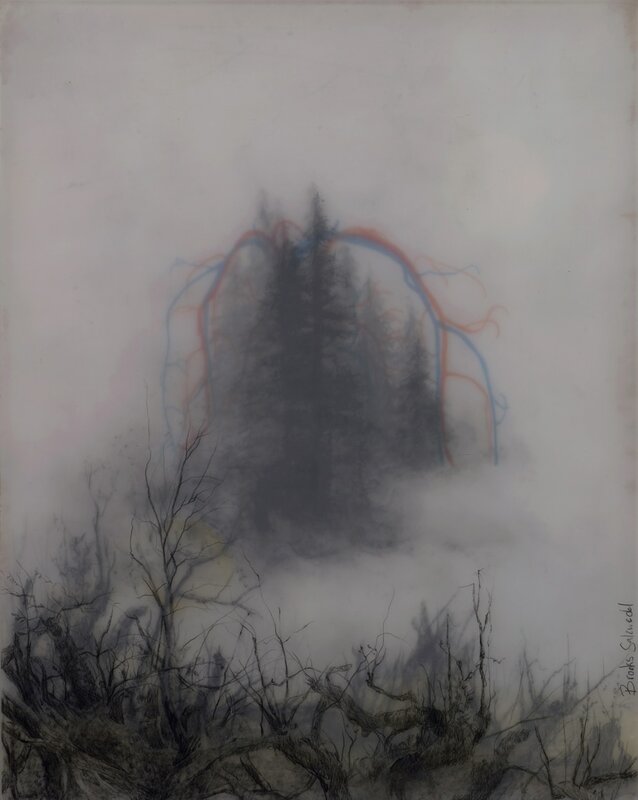 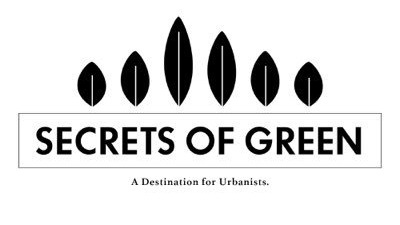 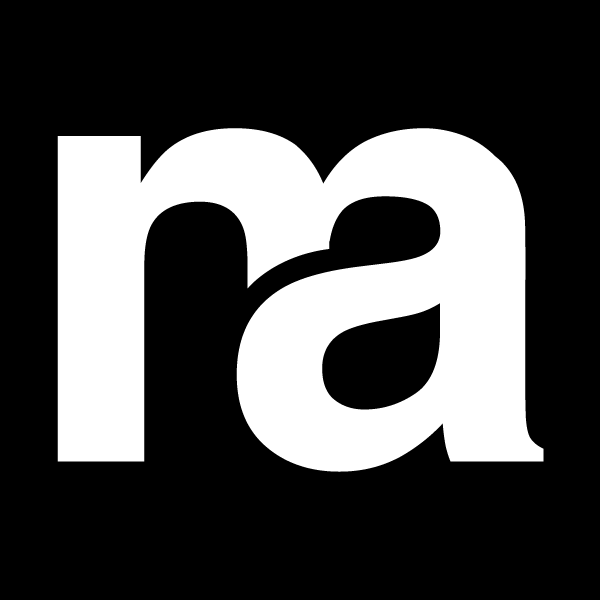 Inspiration drawn from participation in artist residencies in places such as Denali National Park and White River National Forest can be seen clearly within his work, as the breathless natural beauty that is exhibited in his drawings could surely only be captured after experiencing it in person.